On the one hand, all of America's institutions have become too big to change. Like sumo wrestlers in a basketball game, they move too slow. Big Government, Big Oil, Big Insurance, Big Finance, Big Agriculture, Big Highway, Big Education, Big Military, Big Prison, Big Police, Big Poverty--these feed on disaster and control. They no longer exist primarily to fix problems, but to grow. Through them we create millions of jobs that revive our neighborhoods. We give ourselves raises by lowering prices. And all our current skills are employed while we enjoy new talents. Young and old, we will become the government as we create these regional food systems and regional stock exchanges, establish green co-housing programs and green labor administrations, reduce dependence on fossil fuels toward zero, replace automobile space with train and bike space, convert vacant urban land into greenhouses and orchards, develop co-operative health plans and clinics, issue our own education credentials and our own community money. The Mutual Class will also pioneer Mutual Enterprise--local businesses committed to community, ecology, and social justice. 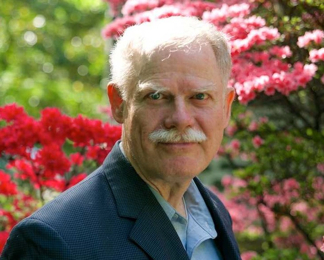 Paul Glover is founder of Ithaca HOURS local currency, Philadelphia Orchard Project (POP), League of Uninsured Voters (LUV), Citizen Planners of Los Angeles , Patch Adams Free Clinic, Ithaca Health Alliance and a dozen more groups that transfer power to America's grassroots. He is author of Health Democracy, Green Jobs Philly, Hometown Money, A Crime Not a Crisis. Contact him: paul5glover "at" yahoo.com. The above essay appeared originally on Paul's webpage paulglover.org on November 16, 2014. What a fabulous article. I appreciate your brilliant metaphors. The stalled car, elephant and donkey, hokey smokes. And the optimism. "Yet the most direct path to deflate bad authority is to withdraw personal dependence." Yes. I would like to see 3 words added: BIG FOREIGN WARS, alongside Big Military. "To the BIG list you can add Food, Pharma, Energy, and my "favorite:" Technology (yuck), the juggernaut bandwagon upon which even the so-called progressives among us have jumped aboard and embraced with unquestioning passion and allegiance. It is now not considered un-American but rather insane to even utter a questioning word about the downside of what now seems to dominate much of everyone's daily life. "I applaud the ambitious and optimistic vision that Paul Glover puts forward and would embrace such a world with open arms. I just have to wonder if the vast majority of humans (esp. Americans) are ready for such a radical yet sane and necessary, if not altogether inevitable, shift. Or is that just little 'ole cynical me who has lived so long as to have witnessed humanity's unfailing folly?" Yes there is optimism and humor in this article. The words create jobs. We are very trained individuals. We are trained very well to conform, comply, obey and so on. I think we need to be careful that we simply don't recreate what we already have but with new terminology. I think we need to look at human relations and the lack of truly quality human relations. We have been functioning from the small intellect for a very too long. How to transcend this condition ? I think we might remain automatons walking in place in quick-sand. All this is a real "pick me up", after the contemporary daily grind. It gives me Hope, to see such ideas and feelings still alive in this increasingly insane world. But Donkeys and Elephants are wonderful Creatures and I dislike seeing them used as symbols for the two political sides of the vile capitalist coin. I feel the same about the words "Democracy" and "Republic" being used, as as betrayed concepts, by these two abominations too. Things monstrous and poisonous should be their imagery. I will do what I can, to be of the sweet and fine New America. I thank "Crea" for Human Endeavors like "Culture Change".